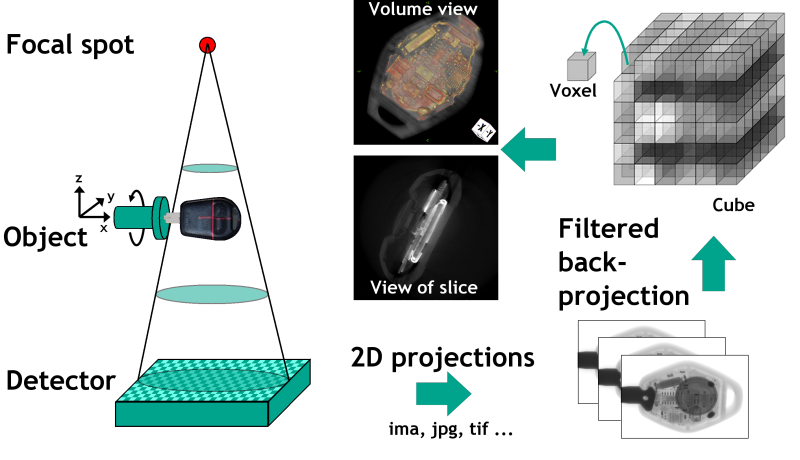 In computed tomography, reconstruction describes the mathematical step after the recording of the radiographic recordings used to to create a three-dimensional voxel data set (in 2D computed tomography, only a two-dimensional pixel data set would be reconstructed with the recording of one single radiographic plane). The process is attributed to the Austrian mathematician Johann Radon. Today, the reconstruction (process diagram in Fig. 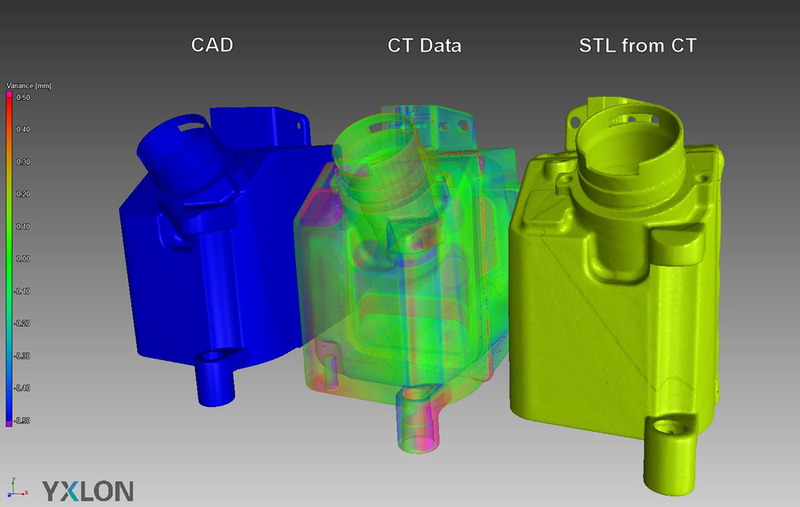 1, YXLON International GmbH) in technically applied computed tomographs is usually done according to the process of filtered back projection. Fig.2 shows an exemble (YXLON International GmbH).